Surgical errors occur when surgeons or surgical staff fail to exercise the proper standard of care. 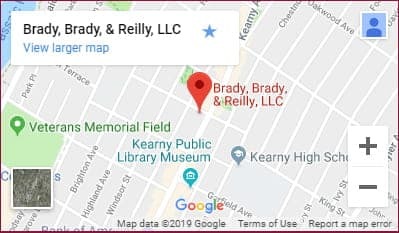 At the New Jersey law firm of Brady, Brady & Reilly (BBR), our lawyers help people who have been injured because of surgical errors. Our law firm has been practicing personal injury law since the early 1970s and knows how to help clients obtain the compensation and damages they deserve. When you consult with us about a surgical error claim, a lawyer will make sure that you understand the legal process. You will learn about your options, your rights, and how long it may take to get a result. You will find out whether there are any time limits that could apply in your case. Clients who are empowered to make decisions about their cases often contribute to favorable outcomes. Surgeons, surgical nurses, recovery room staff, anesthesiologists, and all medical providers involved in surgery are required to exercise a high standard of care. When they do not and an injury occurs, patients or surviving families may be able to file medical or hospital malpractice claims to obtain damages and compensation. In many cases, the patient will require extensive medical treatment to correct the injury. In others, no correction is possible and the patient’s life is forever changed. In yet other instances, patients die because of medical negligence in the operating room; their families may be able to file wrongful death claims. An attorney can advise you about your injury and whether you are eligible to file a claim. Contact an attorney at BBR for a free initial consultation about your surgical injury. Learn about our history of helping people in Jersey City, Newark, and throughout the region. Whether your case proceeds to trial or requires lengthy negotiations, our lawyers are always prepared. Spanish and Portuguese language speakers welcome.